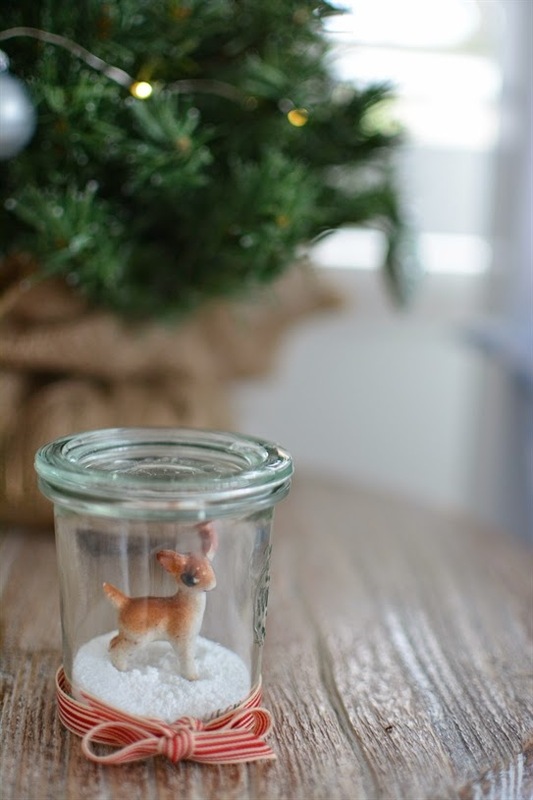 As a child I have fond memories of pretty snow globes my mother used to buy me at Christmas, today's snow globes seem to be made from cheap plastic and don't have quite the same charm, however, I spotted some lovely DIY snow globes around the blogasphere created with mason jars and ornaments. These ideas are simple to create and so much prettier than store bought globes. I decided to share some of the prettiest ones I discovered and also have a go myself. 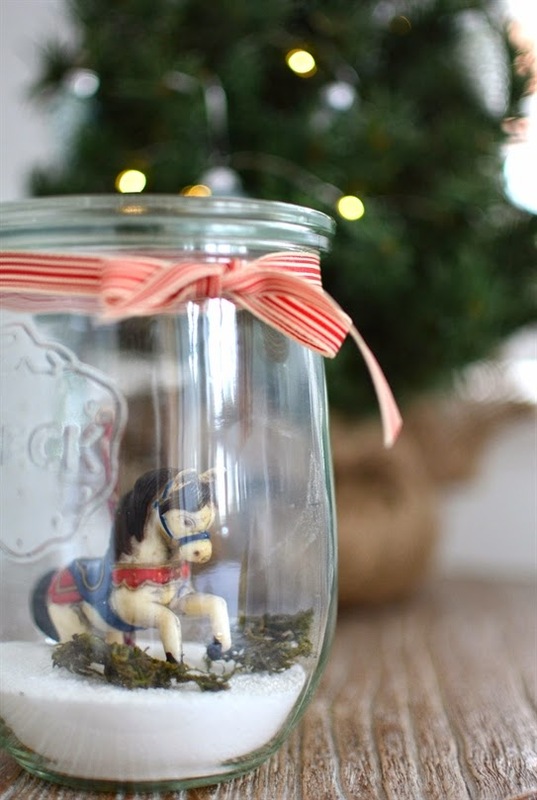 I took a couple of vintage ornaments and placed them in little preserving jars. I didn't have time to go shopping for Christmas snow, so I used washing powder. This will probably go gluggy in the NZ humidity, so I would recommend seeking out some proper snow. 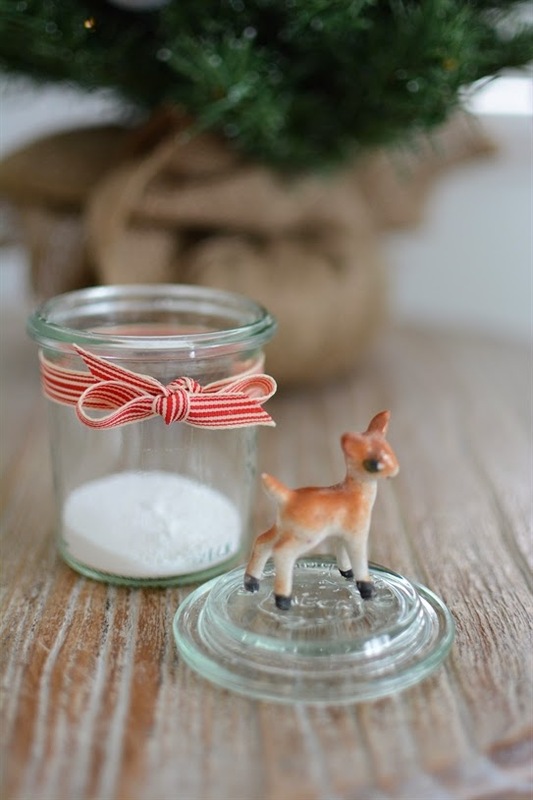 I didn't use a hot glue gun, I simply placed the snow in the base of the jar and my ornaments carefully inside. These are not jars you can shake about, simply decorative. However, there are tutorials below using snow you can shake about. Above: I used a large Mason jar bought from Milly's, the Christmas ornament is vintage, I added some foliage by way of a little florists moss. 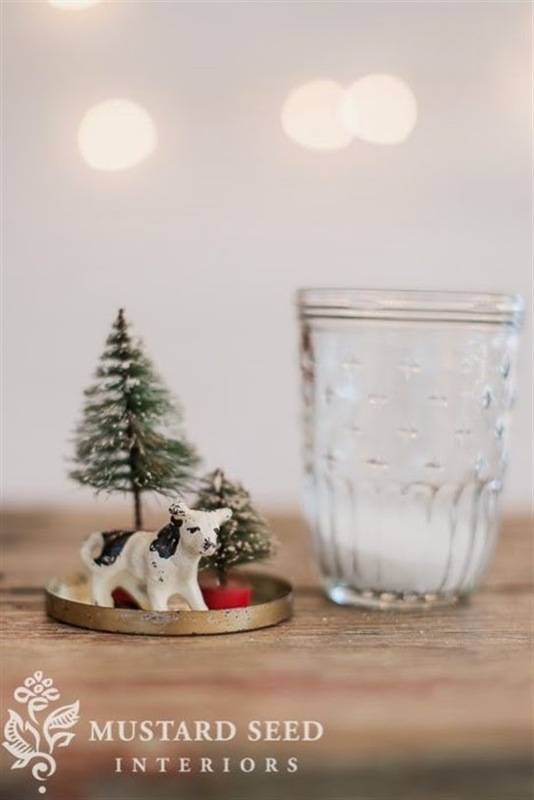 I always find fabulous inspiration over at Miss Mustard seed and have to admit to being inspired by her ideas using vintage ornaments to create my globes above. 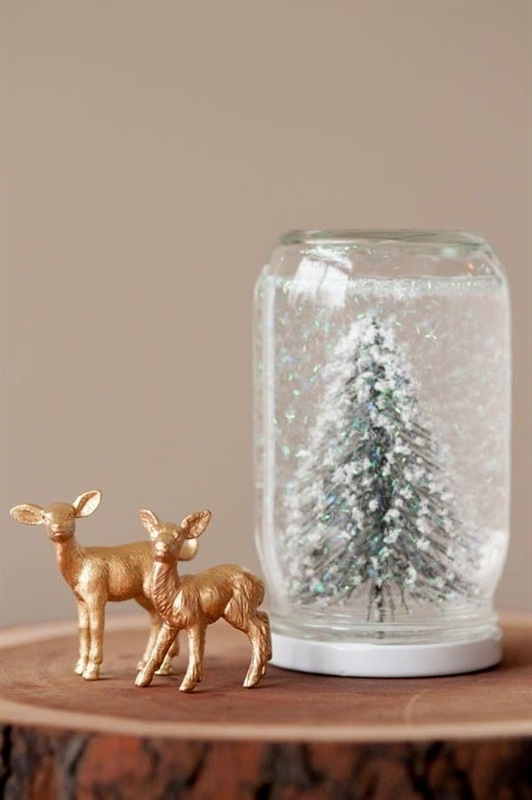 Of course everyone loves a little glitz and the Anthropolgie inspired snow globes from Whipperberry, are gorgeous too. You will find links to instructions below the images so I encourage you to visit these inspiring blogs. Above: These Anthropologie look-a-likes were made by Whipperberry... hop over to Whipperberry for instructions. 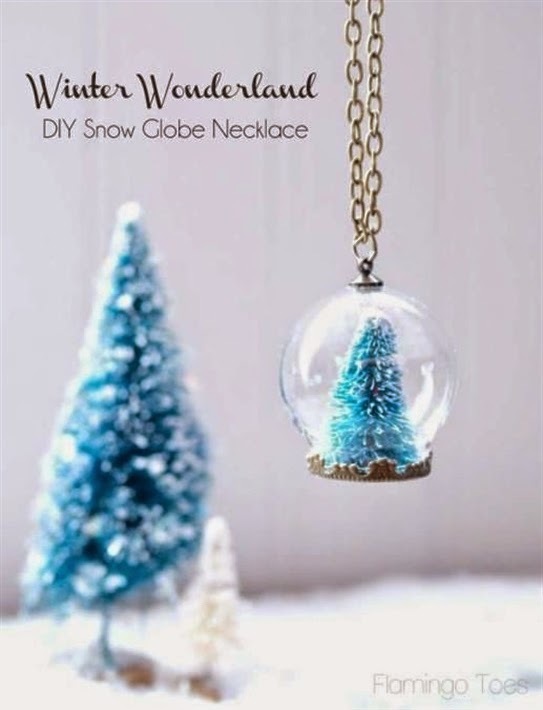 Above: I love this cute snow globe necklace found on Pinterest from Flamingo Toes.com. I could not find the original tutorial for this project, however I think it would be easy to replicate with findings from a craft shop. 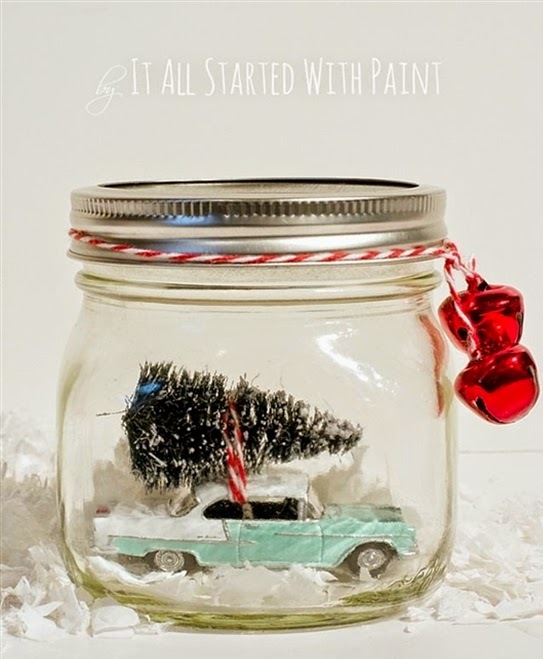 Above: This clever little globe would make a great gift for a model car collector... visit 'It All Started With Paint' for instructions. TIP 1: You should be able purchase bottle brush trees from craft stores, dollar stores or on Etsy. I found a few sellers on Etsy using the words 'Bottle Brush Trees' in their search engine. 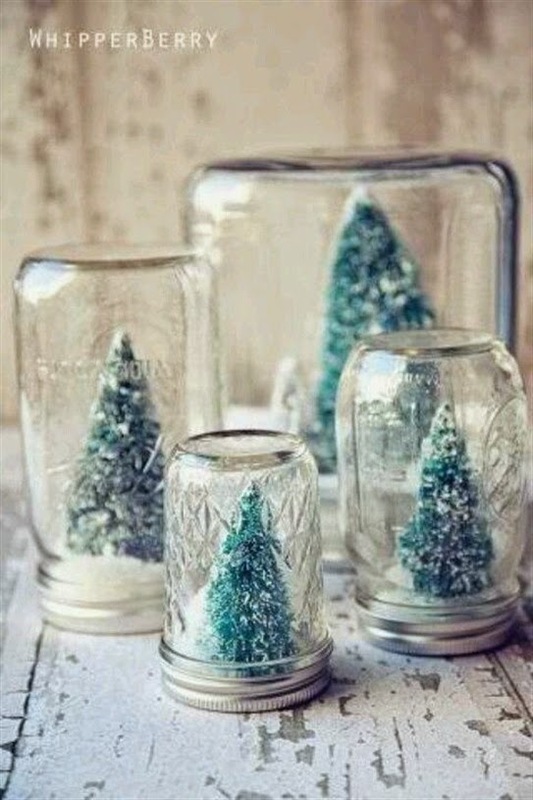 TIP 2: If your not thinking of shaking your snow globe up and down and you haven't got time to buy some artificial snow, you could use washing powder which I used to create my globes or even salt. Enjoy being creative this Christmas.